ST. GEORGE – A St. George woman charged with multiple counts of unlawful sexual activity with a minor pleaded guilty in 5th District Court Thursday. Jaime Renee Tactay, 37, accepted a plea deal that cut down a mix of 16 felony and misdemeanor charges to a total of five. 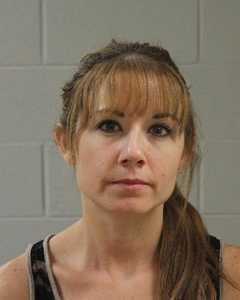 She pleaded guilty to a second-degree felony count of sexual exploitation of a minor, three third-degree felony counts of unlawful sexual activity with a minor between 14-15 years old, and one class-A misdemeanor for violation of a protective order. Sentencing has been scheduled for Nov. 20 at 10 a.m. The charges stem from two separate incidents for which Tactay is accused, involving engaging in inappropriate sexual relations with a minor approximately 15 years of age. According to court records, Tactay was originally arrested on June 26 and charged with multiple felony counts related to the incidents. Police did a follow-up investigation in August after Tactay allegedly violated a protective order, according to court records. The investigation determined Tactay had met with the 15-year-old minor again on four separate occasions between Aug. 15 and Aug. 29. They met a fifth time in the early morning of Aug. 31 and engaged in sexual activity, court records state. Tactay was a arrested a second time and held without bail on the orders of Judge James Walton. St. George Reporter Kimberly Scott contributed to this article. I’m curious is there such a thing as a 15 year old adult. I would think that minor is implied in reference to a15 year old. And besides of the redundant statement it just hits the ear wrong.